Battleborn‘s open beta opens its doors tomorrow for PlayStation 4 players, and to help you be prepared for when the servers go live, you can now pre-load the game client on Sony’s console a day in advance. If you’re on Xbox One or PC, you won’t have too much longer to wait – it’ll be available for both on April 13, and ends on all platforms on April 18. Besides the earlier access, those playing on PS4 will receive the first expansion for the game as well as instant access to one of the game’s many characters – Alani – and, as if you needed any more perks for choosing Sony’s console, you’ll get to play around with the Toby character as part of the beta period. In regards to content that all beta players will get the chance to experience in Battleborn‘s beta, you’ll get access to two multiplayer modes and two episodes of the game’s story mode. 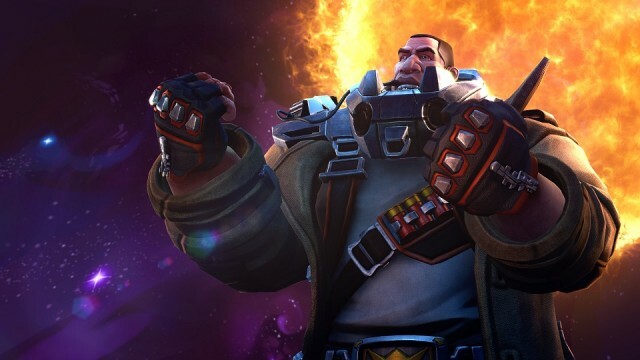 Battleborn is scheduled to release in full on May 3, just a few weeks after the conclusion of the open beta. 2016’s shaping-up to be a big year for multiplayer, team-based shooters, and Battleborn‘s undoubtedly going to be competing against Blizzard’s own Overwatch, which heads to all platforms towards the end of May.